The Players Championship is underway at TPC Sawgrass in Florida in the United States (The one with the Island Par 3 17th). The Players Championship is not just another PGA tournament and is largely regarded as the fifth major, its just not a dual event on the European Tour. It also offers the highest purse in golf and also entry into the Masters for the next 5 years. And in a tournament hosting the top 50 golfers in the world, the players will be looking for ways to gain more fans, make a statement and of course win the tournament ahead of 2014 champion Martin Kaymer. PUMA of course will feature and have four golfers in the field, namely American Ricky Fowler, Canadian Graham de Laet, Swede Jonas Blixt and American William Mackenzie. 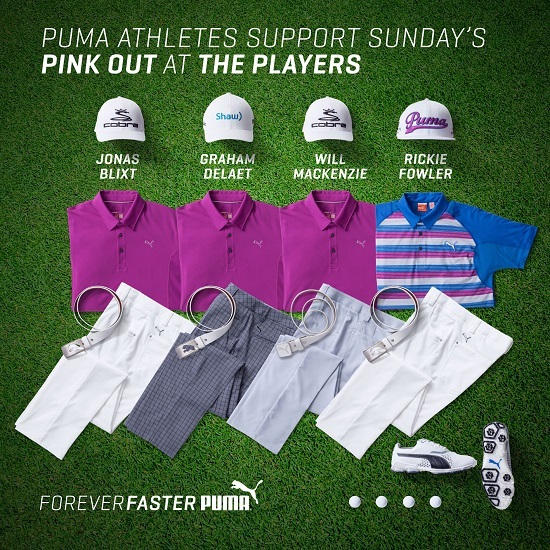 And with the focus on mothers on Sunday, the Players Championship have declared Sunday “Pink Out” day. With that in mind all four golfers will wear an element of pink on Sunday as you can see in their scripted looks below. What you will also see is that each of the players are playing in the TITANTOUR shoe, arguably the best golf shoe I have ever worn, from the comfort to the cooling technology, its a must have for all golfers who enjoy the 18 hole walk. These styles are all part of PUMA Golf’s Spring/Summer 2015 collection of apparel, footwear and accessories, available in stores and online at www.cobragolf.com/pumagolf. The season’s collection boasts a unique blend of function and style designed for maximum breathability, comfort and optimal performance no matter the conditions. 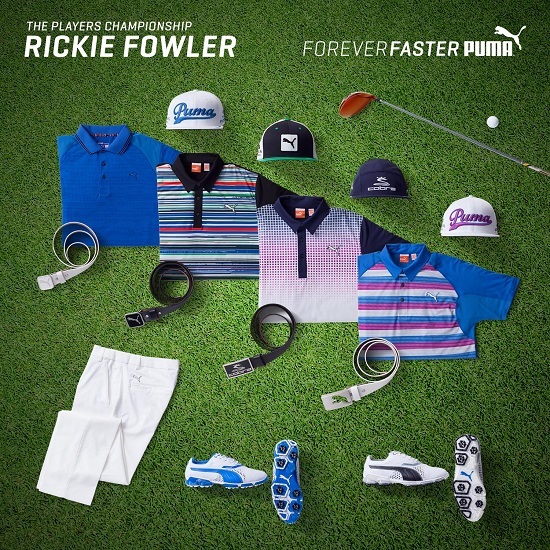 Ricky Fowler of course has taken an early lead in the Players Championship with so you can expect to see a bit more coverage of the PUMA clad youngster this weekend!